How Tettra is using Databox to maintain focus and awareness around the things that impact profitability. 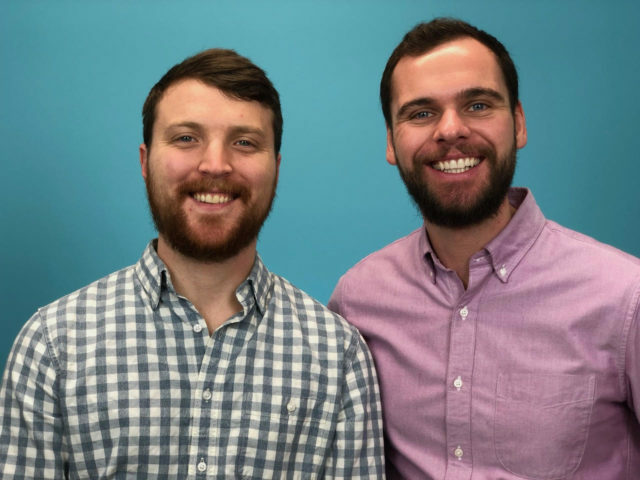 It should come as no surprise that a company built on the premise of knowledge sharing and collaboration was founded by two friends that had been doing just that since they were kids. 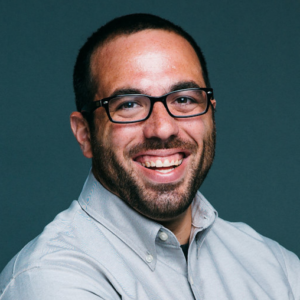 After graduating college, Cook founded a company with his brother (where Joyce worked for a short time before pursuing an opportunity at HubSpot) that was eventually acquired by–you guessed it–HubSpot. Joyce and Cook worked together for several years at HubSpot where, among other projects, they built and launched Lead-In, a suite of lead generation tools for small businesses. Together, they ended up working on the project for about two years, at which point both Joyce and Cook had a decision to make. An idea nurtured from the many days, weeks, and months of building Lead-In. Going from a team of two to a team of seven, overnight, presented some obvious challenges. If it all sounds spontaneous, it wasn’t. Joyce and Cook had lots of ideas over the years, but their collective pragmatism often won out. But not this time. So in 2015, Joyce and Cook left HubSpot to start Tettra, the solution they had been looking for, and in spring of that year launched the first prototype, built on WordPress. Based on that feedback, Cook and Joyce scrapped the initial prototype and rebuilt the entire application over a two-week holiday break in December of 2015. 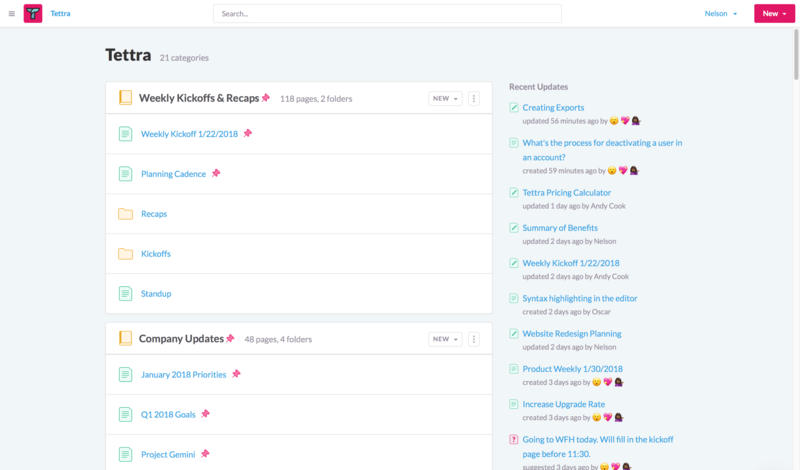 “We launched the first iteration built on Slack in January of 2016,” said Joyce. Hundreds of people signed up for the application within the first few days. Joyce and Cook spent the spring of 2016 fundraising, eventually raising $900k from Boston-based angel investors. 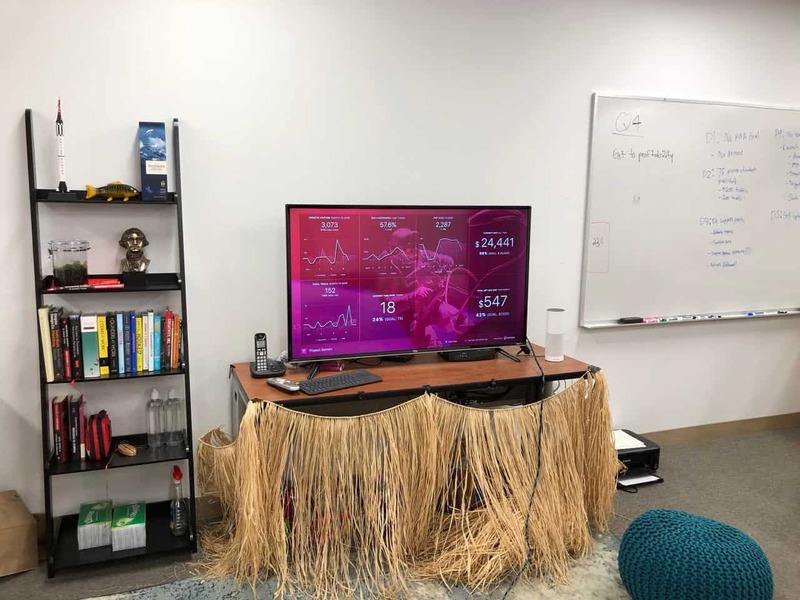 “At that point, we were able to hire our first engineers and launch an improved version of the product in May of 2016, which is also when we landed our first paying customer,” said Joyce. 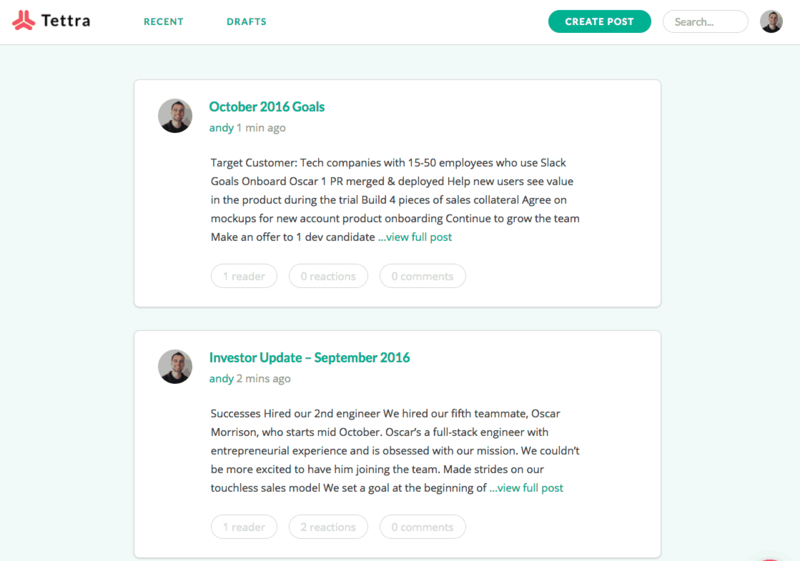 Tettra’s current platform UI, built on Slack. The second project of this type started last summer after Joyce and Cook had unsuccessfully tried to raise a round of funding. “We’re just bad at fundraising,” said Joyce. “We’re not salespeople, we’re just not good at it. So if you’re not good at sales, you’re also pretty bad at convincing people to give you money. We’re more pragmatic about our goals and expectations, and fundraising is not as rational as you would think. It’s emotional, and that’s just not the way we are. After unsuccessfully trying to raise more money, Tettra now has to be profitable. And soon. Project Gemini is the extreme focus on only the things necessary for getting to profitability. Databox has become the visual representation of this project. “As soon as we launched Project Gemini, I got our Databox account up and going,” said Joyce. “You need ambient awareness. It’s like a sixth sense. Every decision we make needs to be in the context of the entire business and getting to profitability. Databox helps us do that. “Databox is like having another person in the room,” said Joyce. Joyce’s team has even used a picture of an astronaut to customize their Databoard. A live look at Tettra’s progress toward profitability. “There are eight numbers on the board, so obviously there’s specific importance to these metrics. It helps keep everyone aware of how the business is trending,” said Joyce. This is the number of new signups that create a page on their first day or first week. Tettra’s “north star metric”, which tracks the number of unique users viewing pages in the application. Want to follow along on Tettra’s journey? Joyce emailed me as I was finishing up this article with the public share link to the above dashboard. Follow along with Project Gemini, Tettra’s journey to profitability, here. As to when Joyce and his team expect to hit the goal?